Nike has launched their Spring 2015 football boot collection entitled Nike Highlight Collection, which includes Nike Hypervenom, Magista, Mercurial and Tiempo. All new boots come in eye-catching colors that will make it impossible to be missed on the football field. 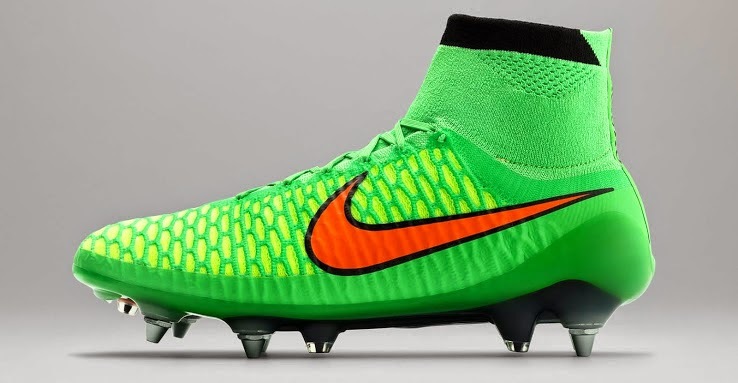 The Nike Magista Obra boot comes in a poison green and flash lime swoosh. Nike Hypervenom has been released in several different colorways but the latest will be a blue lagoon color that is set to be worn by Wayne Rooney starting this month. Nike Tiempo will also be released in what is called a soar blue color. The main boot will be blue with the swoosh coming up in yellow. 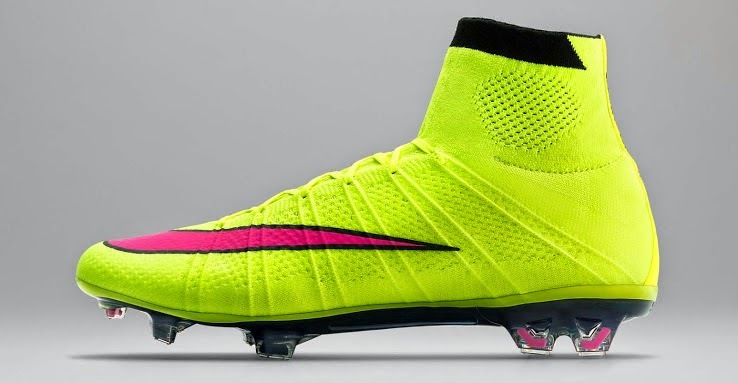 Nike Mercurial Superfly will be mainly volt with pink coming in on the swoosh. The collection is currently available at selected retailers.